The Universal Tablet Security Holder and Lock from Maclocks is compatible with most tablets, measuring 7" or more, for use in a wide variety of settings such as retail stores, corporate offices, and school labs. It mounts to a flat surface via an adhesive security plate, and features a simple, open-back design that lets you attach a security cable. 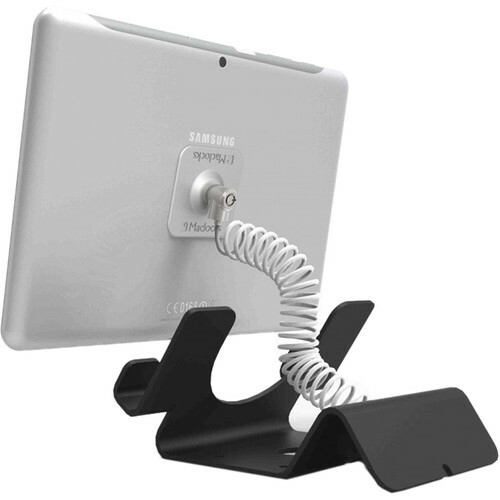 The stand also has a balance stabilizer that can be used to manage your cables. For optimal viewing, the stand is positioned at 45°.